Take off those hiking boots and get ready for your next adventure. 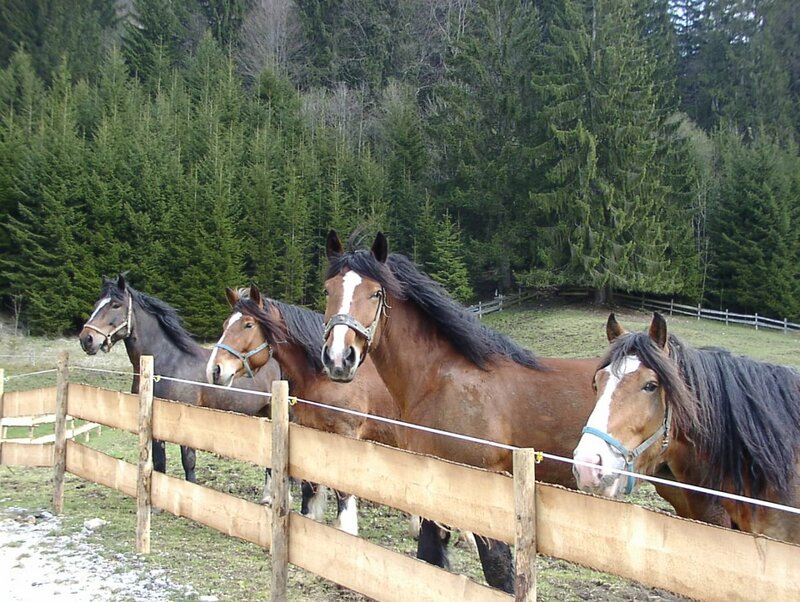 Enjoy the many facets of summer in Oberstdorf away from hiking trails. The broad array of indoor and outdoor activities offers guaranteed fun for people of all ages. conditions in Oberstdorf. A specialist school offers a basic course that gives you the knowledge and skills you need to fly at low heights on your own or an advanced course to enable you to ascend to all heights. 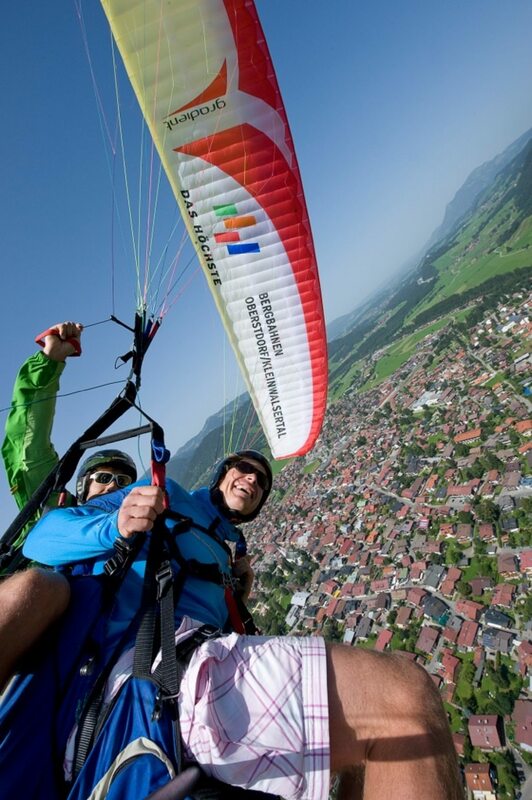 Want to try out the experience of “free flight” but don't trust taking to the skies on your own? Then a tandem flight with an experienced pilot is the ideal solution. A fantastic atmosphere and incomparable views generally make up for the occasional mis-hit. Germany’s southernmost golf course is also among its most picturesque and is avidly awaiting your visit. The Allgäu provides one of Germany’s most diverse and beautiful golf landscapes. Fun and relaxation are guaranteed! The Allgäu golf region offers challenging courses for people of all abilities. highlight, the track ends with a bridge over the main road. 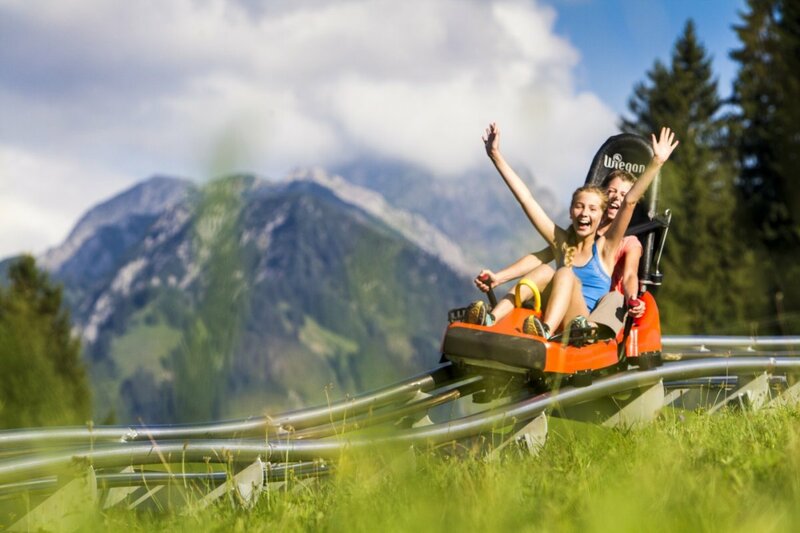 The two-seater toboggans can reach speeds of up to 40 km / h, controllable using the brakes. Even on cold, wet days, the ride is still exciting and safe. If it rains, Plexiglass screens are simply fitted over the toboggans to keep you dry and protected. The Oberstdorf Marktbähnle can hold 45 people. In addition to the normal rows of seats, there is also a wheelchair space for the disabled. A round trip on the Oberstdorf Marktbähnle is the best way to really get to know your holiday location and its enticing surrounding area. Climb on board and join us on a journey of discovery. 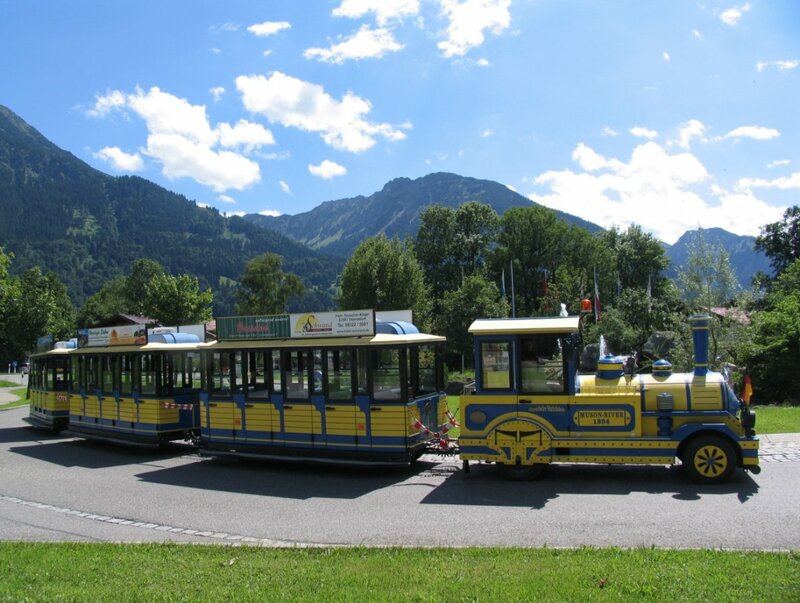 In addition to the round trips on the Oberstdorf Marktbähnle, there are numerous other services that you can find out about in the Tourist Information Offices. something special about going skating! Glide effortlessly across the ice at the daily public session (see the internet for the current times). Ice skate hire is naturally available. 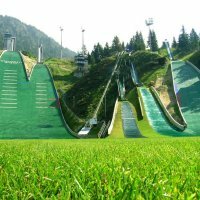 Discover the fascination with ice sports and try something for yourself, whether ice skating, ice stock shooting, ice stock bowling or curling. Join in the action! Our centre regularly hosts fascinating events, exhibition skating sessions with top skaters and competitions. 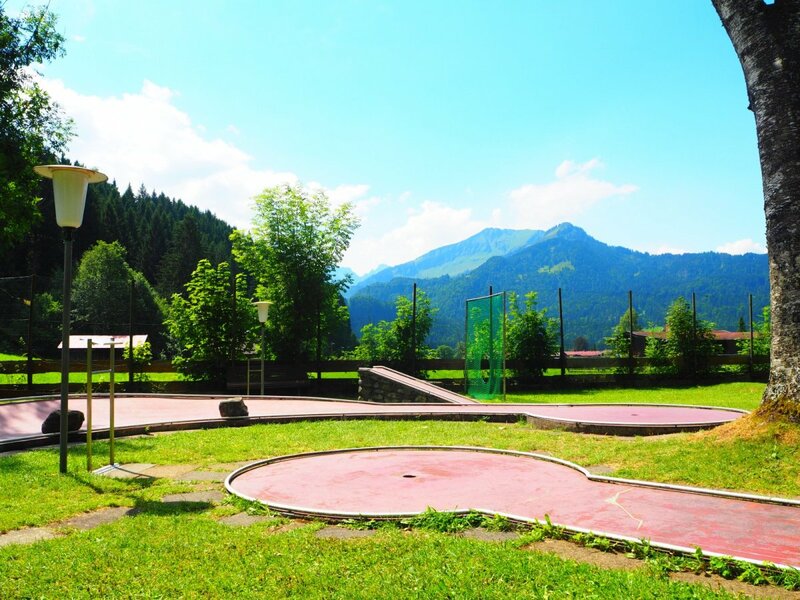 The Oberstdorf minigolf course is located on the Mühlacker, just a few minutes’ walk from the village centre. With varying levels of difficulty, the 18 diverse holes offer fun and variety for all the family. For a break during your game or a stop-off after your round, the idyllic kiosk offers an array of refreshments.